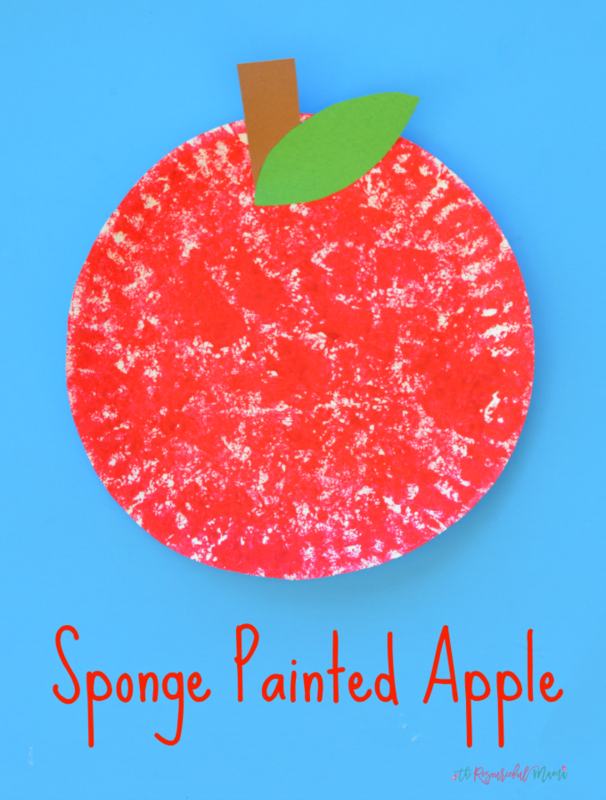 We first made this sponge painted apple craft with my son’s preschool class a couple of years ago. The preschoolers thought it was pretty neat to trade in their paintbrushs for sponges. 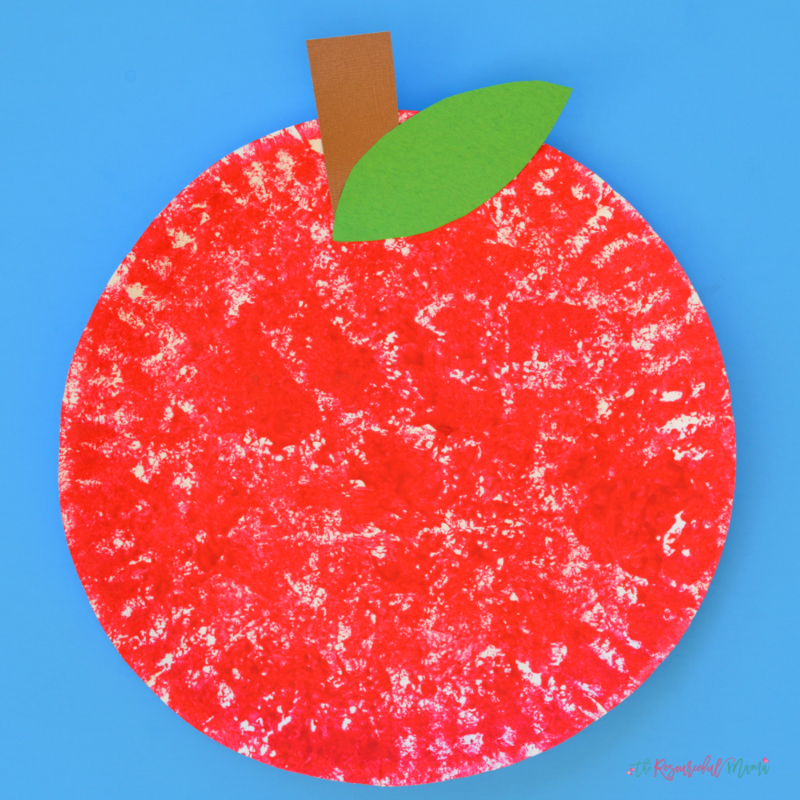 With just a few basic supplies and easy to follow directions, this is an easy, inexpensive, and fun apple craft for back to school, fall, Johnny Appleseed day, and letter A. To prep this project, gather your supplies and cut the sponge into long stripes. These long stripes will be the paintbrushes. 1. Give each child a sponge paint brush and either red or green paint. 2. Dad the sponge into the paint and then onto the paper plate. Repeat process until the paper plate is covered. Allow to dry. 3. Cut a stem from the brown paper and a leaf from the green paper and glue onto the front of the paper plate. Work on early math skills, color identification, and fine motor skills with this Apple Sorting Activity or Fine Motor Color Matching Apple Sensory Bin.